To some, Meg Banks' life might look perfect - she lives in a huge house in West London, goes to a prestigious school, and has famous parents. Only Meg knows the truth: her tyrannical mother rules the house and her shallow friends can talk about nothing but boys and drinking. Meg's only escape is her secret life as a graffiti artist. While out tagging one night, Meg witnesses the dying moments of a fox... a fox that shapeshifts into a man. As he dies, he gives Meg a beautiful and mysterious gemstone. It isn't long before Meg realises that she's also inherited his power to shift and finds an incredible new freedom in fox form. She is plunged into the shadowy underworld of London, the territory of the five warring groups of shapeshifters - the Skulk, the Rabble, the Conspiracy, the Horde, and the Cluster. Someone is after her gemstone, however, someone who can twist nature to his will. Meg must discover the secret of the stone and unite the shapeshifters before her dream of freedom turns into a nightmare. Rosie Best lives in London and loves all things nerdy. She is an editor at Working Partners Ltd, working on a huge variety of projects from first chapter books about unicorns to dark YA journeys through the land of the dead. She's also written for Working Partners on a freelance basis, on series published by Usborne and Hot Key Books. 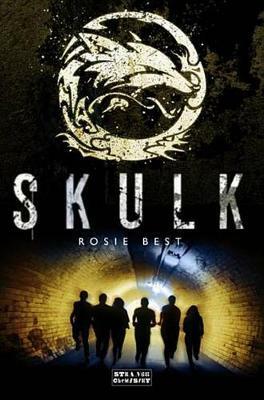 The opening of Skulk won a place in the 2012 Undiscovered Voices anthology. When not writing or indulging a passion for video games, she sings with the Crouch End Festival Chorus.